When designing a master bedroom, the colors that you choose for the space have the most significant impact on the overall look of the room. 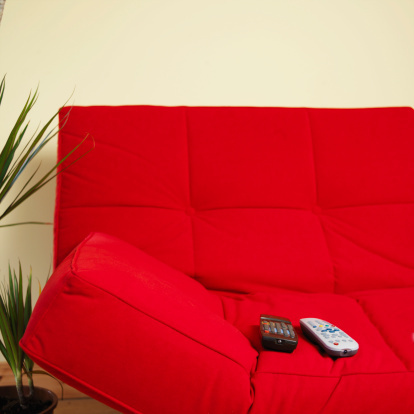 However, the way that you choose to arrange your furniture also affects the style and mood of the space. The placement of your bed is particularly important since you want to feel comfortable in it to ensure a good night's sleep. You can choose from several locations for your bed but the size of your bedroom may limit your options. A bed placed on the same wall as the door. The most traditional spot for the bed in a master bedroom is on the wall opposite the door. The bed is usually centered on the wall but you can place it off-center if there is a window or other fixed feature that limits your options. Placing your bed on the wall opposite the door is ideal if you have an elaborate headboard, since it will be the first item that is visible from the doorway. This placement works well for both large and small bedrooms, provided the wall opposite the door is long enough to accommodate your bed. If you cannot place your bed on the wall opposite the door because of windows or other fixed features, you may place it on the same wall as the door. While this placement is not recommended by feng shui design principles, it can actually create a private, intimate space for the bed since it is hidden from view of the doorway. It may also provide scenic views from your bed if there are windows on the wall opposite the door that prevent you from placing your bed there. For a more unusual bedroom arrangement, try placing your bed on a diagonal in the corner opposite the door. 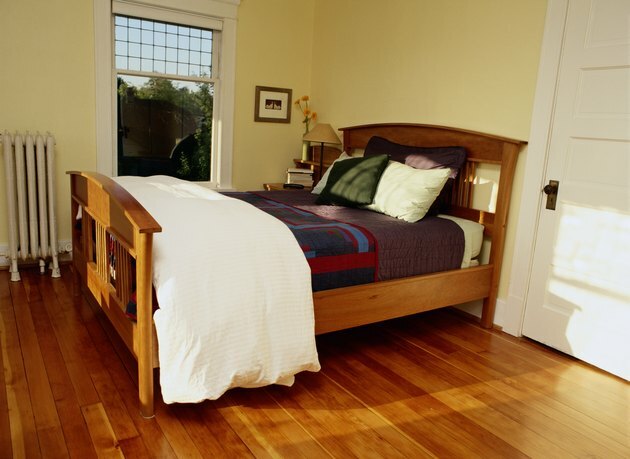 This placement requires more space than centering the bed on a wall, so it works best in a large bedroom. As with centering the bed on the wall opposite the door, a diagonal arrangement allows the bed and headboard to become the room's focal point because the placement is unique and catches the eye. It is also an easy way to add interest to a bedroom that features a simple design, such as a neutral color palette or minimal furniture. The most dramatic placement for a master bed is in the center of the room, away from any walls. It instantly makes the bed the focal point of the room. This position makes a striking setting for a four-poster or canopy bed. However, this arrangement only works in a large bedroom, since you must have enough space around the bed for other furniture items. To keep the bed from looking as if it were floating in the center of the room, you can "anchor" it by placing a large area rug beneath it or add a bench at the foot of the bed.